This Sunday 3rd May – BBQ and Bake Off Comes to Woodfield! 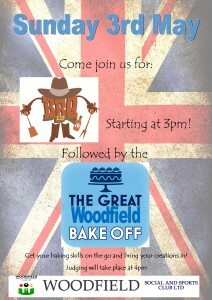 BBQ and Bake Off at Woodfield! Bake off Judging at 4pm! Come and get involved for a bit of family fun!